Home /What did they drink on the Titanic? What did they drink on the Titanic? 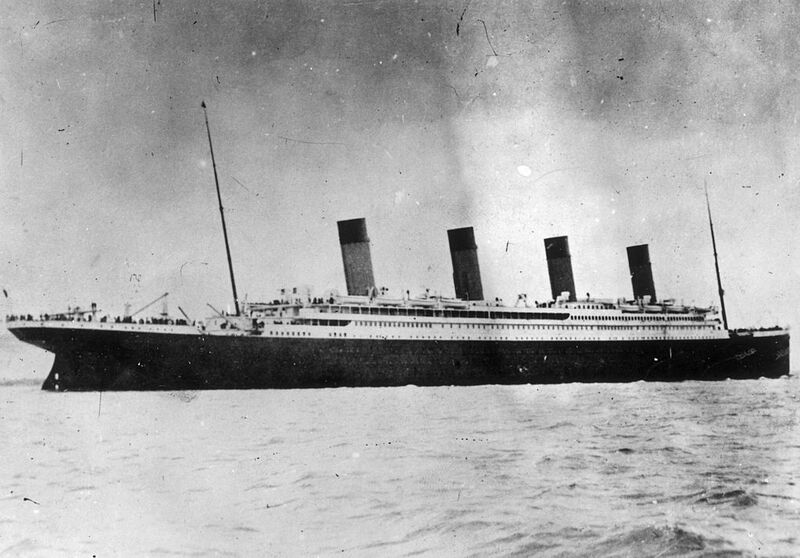 More than a 100 years after the Titanic hit that fateful iceberg, we’re still fascinated with the legendary steamship—as much because of its glamour as its tragic ending. The pride of the White Star Line and the largest passenger ship in its day, it was modeled after the Ritz Hotel in London, with a gymnasium, Turkish baths, a squash court, four restaurants and 416 first-class staterooms. Now Titanic expert Veronica Hinke has gone back in time with The Last Night on the Titanic: Unsinkable Drinking, Dining and Style. Part cookbook, part first-person narrative, part anthropolical study, it uses cuisine, cocktails, dress decor and other cultural threads to dive into our obsession with the ill-fated ship and the Edwardian era as a whole. Bartenders in the dining car saloon would have been whipping up cocktails like the Rob Roy, the Robert Burns and the Bronx to tony travelers like John Jacob Astor and Benjamin Guggenheim. Some 850 bottles of spirits were brought onboard, and the ship’s wine cellar was stocked with 1,000 bottles—including a lot of Champagne and Bordeaux, apparently. Lavish 10-course meals were the norm for first-class passengers—chilled spring pea soup, chicken in cream sauce, Oysters à la Russe—and each dish was paired with a glass of wine. Her recipes, curated in narrative form, include dishes served on the ship as well as Hinke’s moden adaptations. 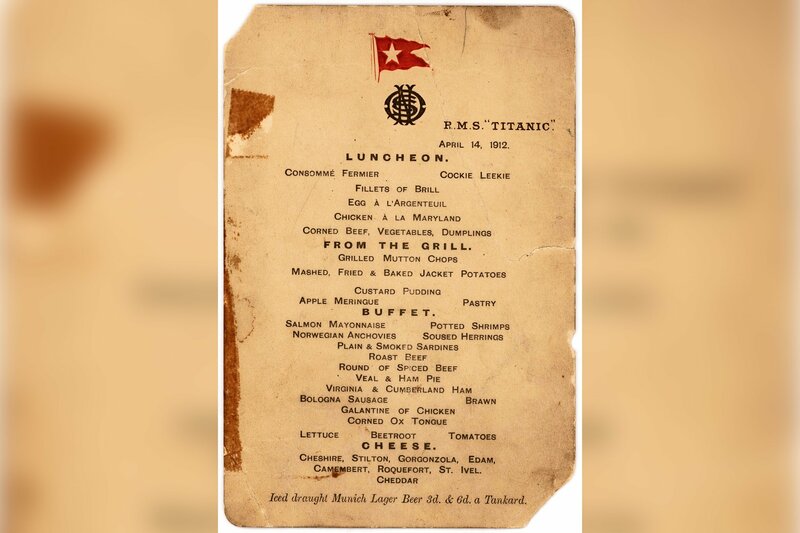 She filled in the gaps by looking at menus from other steamships of the day, as well as from bars and restaurants that were au courant when the Titanic went down—like the Waldorf Astoria and Knickerbocker Hotels and Delmonico’s restaurant (where Hinke had her book launch this week). “By seeing what someone like John Jacob Astor IV might have eaten while dining out in New York City, we can imagine what he likely would have eaten while on a steamship like the Titanic,” she says. One drink we know for sure that was served on the Titanic is Punch à la Romaine, a shaved-ice concoction popularized by famed French chef (and spiked slushie fan) Georges Auguste Escoffier. Made with rum and Champagne, it was served as a palate cleanser between courses. Light, refreshing and citrusy, it can easily stand on it own. Below, try out the recipe for Punch à la Romainé included in The Last Night on the Titanic. Add the egg whites to an empty cocktail shaker and shake until frothy. To the cocktail shaker add rum, simple syrup, lemon juice, and orange juice and shake vigorously. Mound crushed ice in a coupe glass and pour mixture around it, being careful to leave enough room for the Champagne. Top with Champagne and garnish with orange peel. The cocktail should be liquid and frothy enough to drink without a spoon. The Last Night on the Titanic is out now from Regnery Publishing.